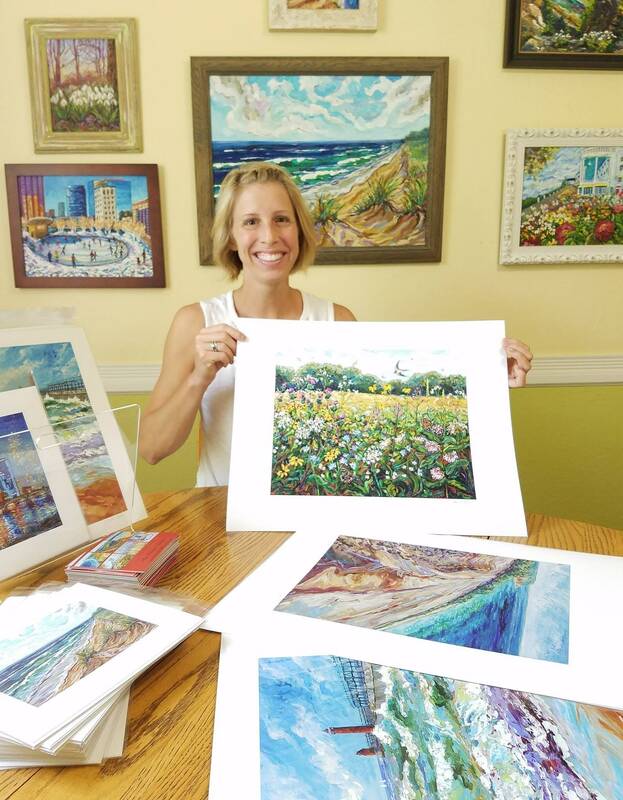 About the process: What is a Giclee Print? What is a canvas print? Have you ever experienced the joy of buying art? 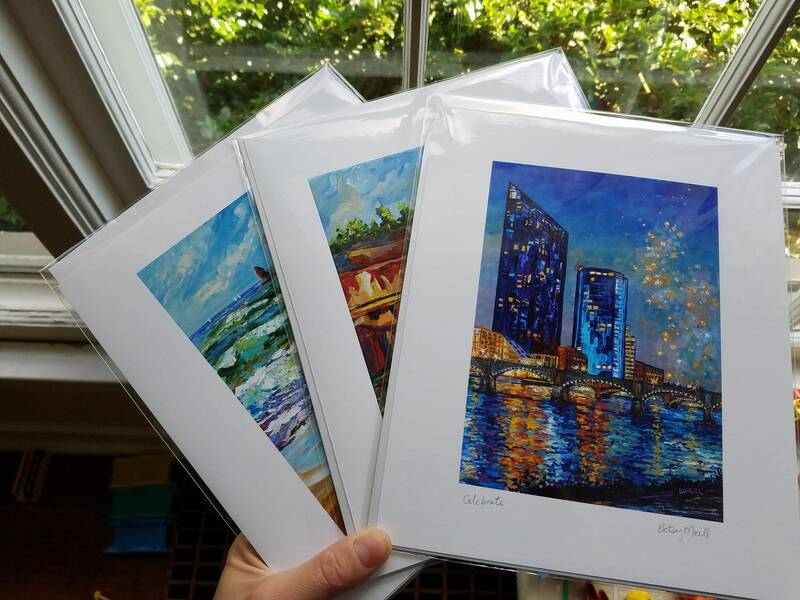 Want to know more about how my prints are made? 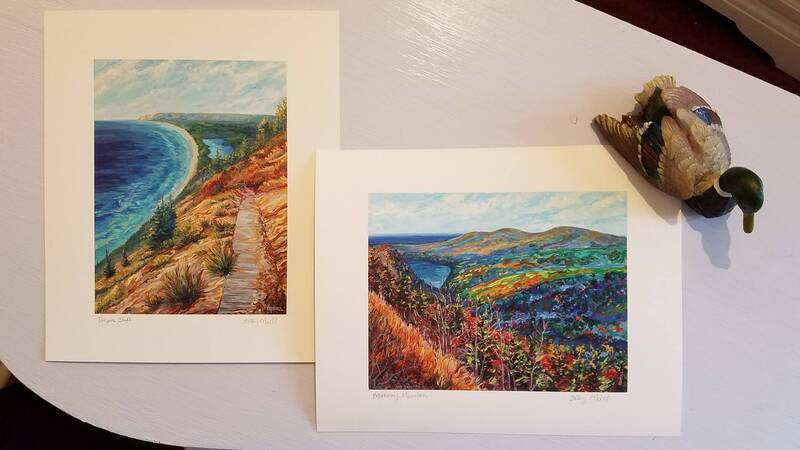 Browse through these pictures above and get to know the difference between Canvas prints and Giclee Fine Art paper prints! I can answer a lot of your questions here, but also feel free to contact me! I would love to chat with you! How are prints made from a painting? Once I have completed a painting I take it to a local gallery here in Grand Rapids, Michigan. I love to support local small businesses whenever I can. I drop off the painting for a few days while they set up studio lights and take professional photographs of the piece with a high resolution camera. Next, they transfer it to their computer and color match the image with the original. Later, they print out proofs of the image which we go over together so it is just right. We all agree it looks awesome and the image is finalized and ready to print! Printing time! The image goes from the computer to the giant Epson ink jet printer. This is where it gets really exciting! We can print very BIG! 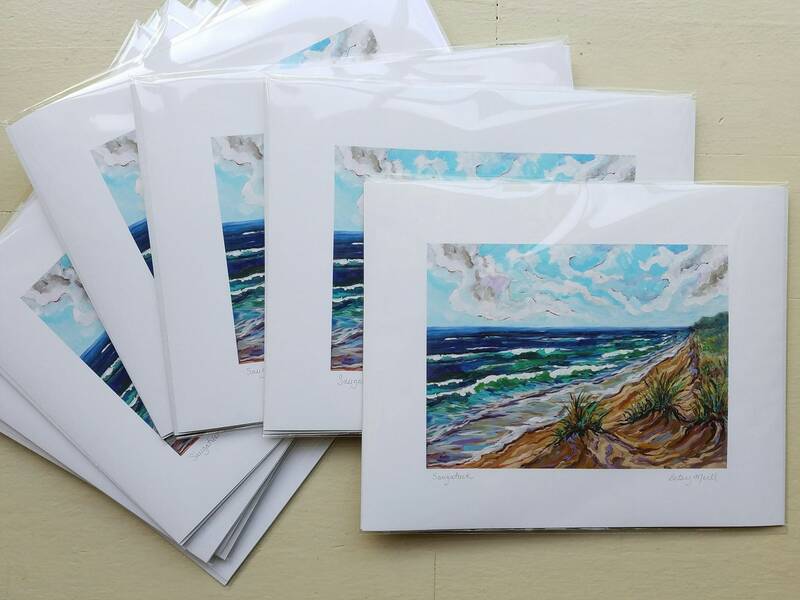 My giclee fine art prints are printed with archival inks on 100% cotton rag hot press bright paper. This paper is thick and luxurious! Acid free and archival! Big or small they are gorgeouse as they slowly print in vibrant colors! Will the print I order fit into a standard frame? Because my original paintings are painted in various sizes sometimes the printed images are bigger or smaller than common frame sizes. Here's how we solve that to make framing a snap: All my paper prints have a blank margin of plain white around the image bringing the overall size up to a standard frame size like 11x14 or 16x20 etc. The prints actually look pre-matted and I title and sign them in pencil. Then, for safe keeping and beautiful presentation I enclose them in crystal clear fitted jackets with an acid free cardboard backing. They are safe until you are ready to frame! What is a Gallery Wrapped Canvas Print? 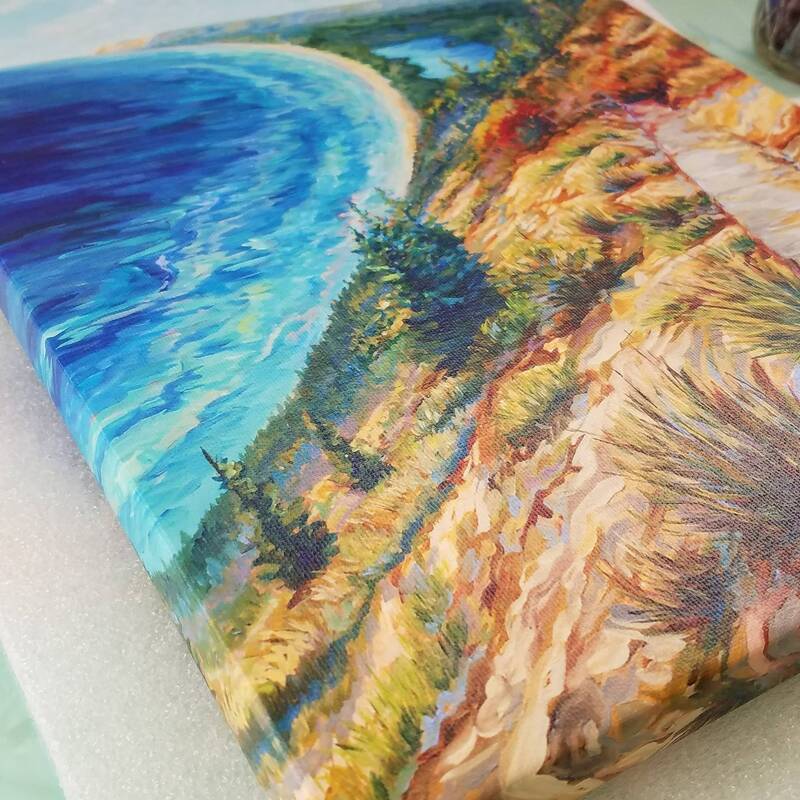 Printing on canvas is a little different than on fine art paper. We are still using the big ink jet printer with archival inks, but now a giant roll of canvas weave instead of paper is coming through! Next, the canvas is hung to dry and later sprayed with an acrylic varnish that protects it from fading, scuffs, and water splatters that may occur during it's lifetime. Once dry, it is stretched on a hand cut, low profile frame with the canvas wrapping around the edges. It gets an acid free backing board and a wire for hanging. I personally think the canvas is the way to go for the best look! The canvas gives it a natural texture and weave that makes it look like you own the original painting. It also comes ready to hang on your wall or you can frame it at a later time. The canvas is priced more expensive than fine art paper but it actually comes out to be about the same when you consider that a paper print should be framed, matted, and protected with UV glass...which adds up too. 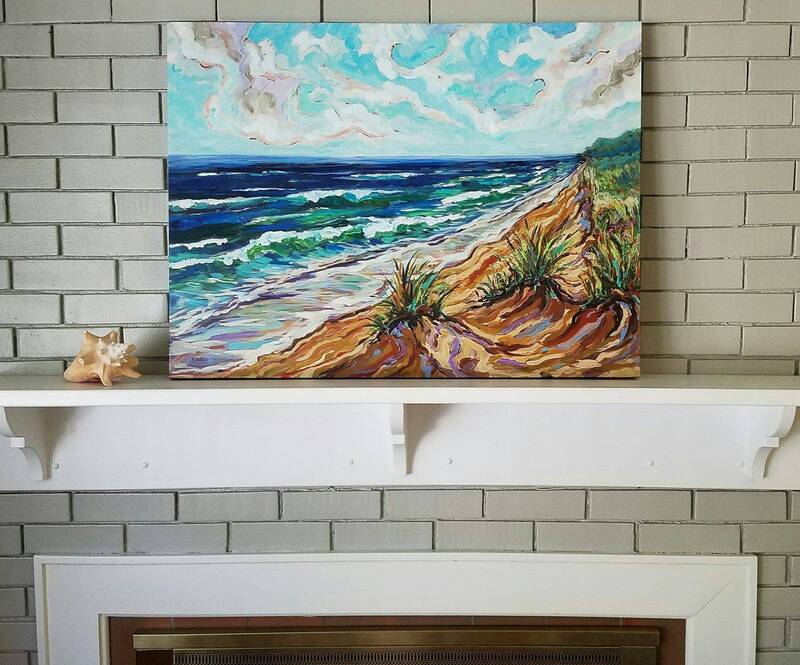 How do you properly hang or frame your purchase after it arrives? 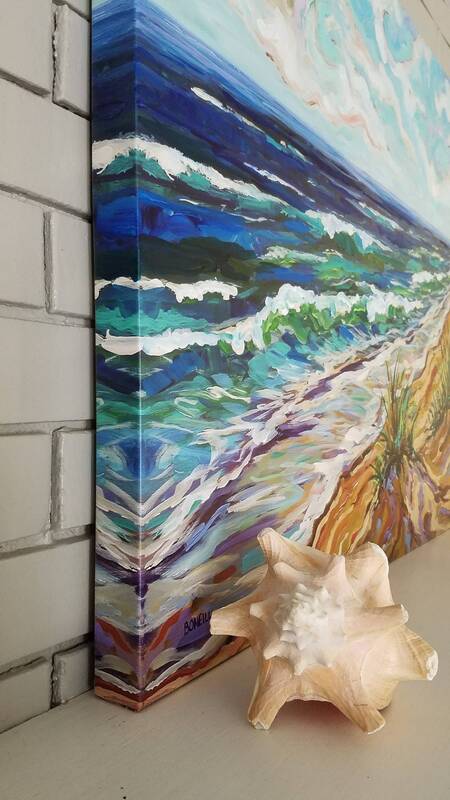 on gallery wrapped canvas can be hung just as it is or framed, no glass needed.